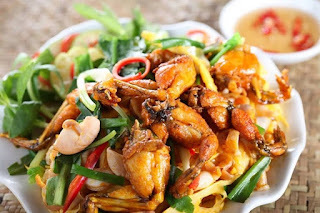 There are many dishes made from frog meat, but to food was delicious and unique as the frog meat is processed from the Tay ethnic minority people in Vinh Yen, Bao Yen, Lao Cai province is very rare. Often living in streams in the mountainous region in the northwest, Hiu gloomy, 'frog finger grooves or Johns' Johns frog in English, is a rare frog species in Vietnam. When frogs are born, they grow very fast.Tay people just need to bring bamboo baskets to catch a lot of frogs from streams or get them from rocks where they usually cling to. 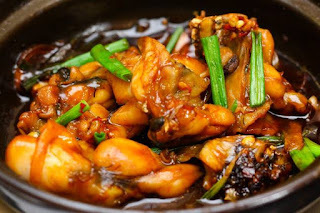 The two most common ways to make dishes from the fresh Johns’ frog of Tay people are to fry the frog with sour bamboo sprout or cook sour soup with forest leaves but when making dishes out of dried Johns’ frogs, people soak them into the water of sour bamboo sprout to make them soft and aromatic. Then, they embalm the frogs with chili and deep fry them. To make the fried frogs more delicious, people create a sauce from Chinese chive, green chili, and salt. For Tay people, the Johns’ frog is far tastier than squid. When travel to Sapa. 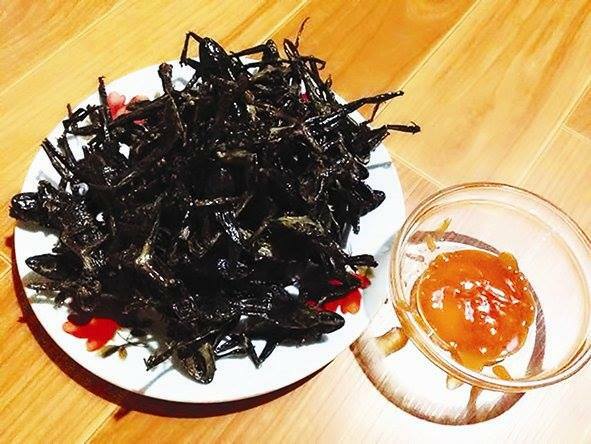 Coming to Vinh Yen Commune, visitors can taste dishes made from Johns’ frogs at bistros of Tay people along the stream banks. You will feel satisfied with this attractive delicacies. Tag: Fansipan tours, Sapa Classic tours, Sapa homestay tours, Sapa market tours, Sapa trekking tours.